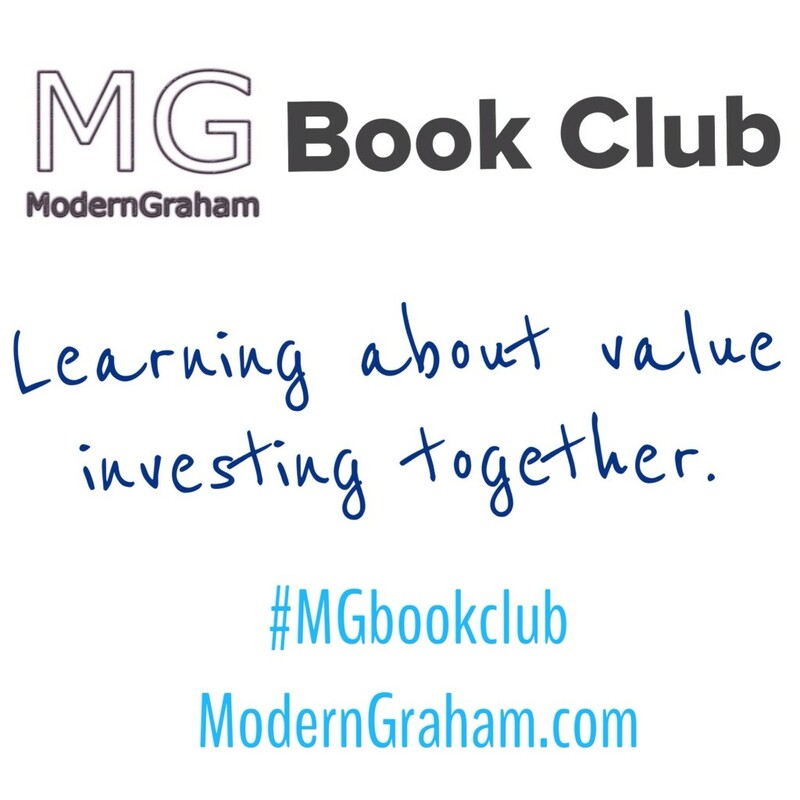 This is the fourth discussion of the ModernGraham Book Club’s reading of The Intelligent Investor by Benjamin Graham (affiliate link). In last week’s discussion, we discussed the third chapter, which reviewed the history of the stock market until 1972 and we had a discussion regarding the general macroeconomic environment. This week we will discuss the fourth chapter, which is titled “General Portfolio Policy: The Defensive Investor.” I encourage you to purchase the book (preferably by clicking the link to Amazon, because a purchase through that link will help support the club) and join in with us as we read through a chapter each week; however, even if you don’t have the book I think you will find our discussions to be very useful in your own understanding of value investing, and you can still bring a lot to the discussion from your own experiences as an investor. Whether this is the first day you’ve ever been interested in investing, or you have decades of experience with the stock market, we’d love to hear your thoughts in the comments below! In this chapter, Graham outlined the general allocation of the Defensive Investor’s portfolio, paying particular attention to the division between equities and bonds. Graham recommended Defensive Investors maintain a 50-50 allocation between the two, utilizing the formula approach to investing by reallocating the portfolio to that percentage periodically as the market values either bonds or equities over the other. Graham went on to give an overview of some various types of bonds that are available for investment, giving some general comments to their applicability to a Defensive Investor’s portfolio. Please feel free to leave a comment on this post with your own responses to the questions, along with any other thoughts you have, and return throughout the next couple of days to see what others have said. If you find something that has been said by another commentator interesting, feel free to respond to them with another comment. We’ve had some great discussions the last few weeks, so keep it up! This chapter has some great insights into the general bond market and how bonds can contribute in a significant way to a Defensive Investor’s portfolio. Since the Defensive Investor is defined as a passive investor who is not willing to spend a great deal of time researching his or her investments, it makes a lot of sense for the Defensive Investor to utilize the formula approach and maintain a 50-50 split between bonds and equities. However, Graham’s simple formula has a twist in that if the investor determines that the market seems to be overpricing one asset (bonds or equities as a whole), the 50-50 split may not make sense. Additionally, the investor’s individual situation may call for a greater percentage of one over the other. As a result, the reader is left without a specific recommendation, but I think the gist is strong: The Defensive Investor should pick a percentage based on his situation and market environment, and stick with it through periodic rebalancing until either the situation or the market environment changes. The hard part is deciding the allocation percentage. I really appreciate Graham’s analysis of the 50-50 stock v. bond model. By putting it into perspective as a value investor, Graham makes it pretty clear that your willingness to invest in stocks should be directly connected to your willingness to do quality research and thus derives his 25%, 75% model. While we have already discussed in comments on previous posts that many people have sold all of their bonds in recent years, not everyone is willing to do the research required to be able to make that step. Additionally, Graham points out that the decisions we make should be based on our own personal feelings as he notes numerous times that the investor’s decision will rely on their own feelings about the stock market. I am both encouraged and frustrated by this approach. On the one hand, where Ben and I are at in our financial standing is extremely different than the thousands of other people our own age and I appreciate Graham’s affirmation that we should be making the choices that are best for us. On the other hand, his countless reminders of doing what makes the most sense for us, leaves me feeling unsure about exactly what our division between stocks and bonds should be. For years I’ve gone by the 110 minus my age approach; however, I’m realizing now that might be able to incur far less risk than I originally assumed. Especially when taking into consideration that questions that Zweig asks on pages 103-104 of the commentary. In the end, as with every chapter so far, I’m left to do more research on my own. A thought that is both extremely exciting and a bit terrifying. What is your portfolio’s allocation between stocks and bonds right now? What methods have you used for determining your allocation between stocks and bonds? Graham explains several types of bonds, which bond do you prefer and why? If you have the newer edition with Jason Zweig’s commentary, Zweig departs from Graham’s advice to never have more than 75% of your investments in stocks and instead states that some investors may be well served by having 100% in stocks (see the box on page 105). What do you think of this idea? When reading the next chapter, try to think about how the concepts Graham presents in the chapter could apply to your own investments, whether you consider yourself a Defensive Investor or an Enterprising Investor. 2. What is your portfolio’s allocation between stocks and bonds right now? 3. What methods have you used for determining your allocation between stocks and bonds? 4. Graham explains several types of bonds, which bond do you prefer and why? Neither of them. Right now I prefer stocks. 5. If you have the newer edition with Jason Zweig’s commentary, Zweig departs from Graham’s advice to never have more than 75% of your investments in stocks and instead states that some investors may be well served by having 100% in stocks (see the box on page 105). What do you think of this idea? I think that the approach sounds reasonable for someone that can honestly pass the tests laid out by Zweig. 6. What did you think of the chapter overall? I like Graham’s distinction between risk and return. Still today, most people or at least the ones who makes their voice heard tend to connect returns to risks taken. I prefer to buy great companies at a fair or even cheap price. That to me is a low and acceptable risk coupled with the opportunity to get a satisfactory return. You are deep into stocks at the expense of bond holdings. I’m glad to hear you’ve taken into consideration Zweig’s comments about that approach, and that you’re being sure to take the time necessary to evaluate your investments thoroughly as an Enterprising Investor! First off I apologize for my lack of recent activity, but I was hit with the flu. It may often be the case that a bargain stock with the potential for a substantial profit is less risky than buying an ordinary bond. Increased interest rates have caused even long term bonds of high quality to lose a considerable amount of their value. I am about 50% stocks and 50% cash right now. No bonds, but I am considering a short-term bond fund or T-bills in this low rate environment. I have always been a stock investor that keeps a cash balance with a size dependant upon the market. Right now I am starting to be concerned with “froth” so I am converting some more to cash. As I mentioned above, I am looking at ST- Bond funds and T-bills because they would not be impacted severly if rates start to rise. Also, TIPS are an interesting possibility. Maybe laddered CDs also will be considered. 5. f you have the newer edition with Jason Zweig’s commentary, Zweig departs from Graham’s advice to never have more than 75% of your investments in stocks and instead states that some investors may be well served by having 100% in stocks (see the box on page 105). What do you think of this idea? Only if , as he says, you have a year’s income saved up. I loved the advice. The investor is to have a 50/50 stock/bond split where variation can be as much as 25/75 either way. If there are lots of good bargain stock, then stocks should make up 75%. If everything is overpriced then stocks should be 25%. This is great advice for the average investor. Mark, I hope you’re feeling better! I’m glad you enjoyed the chapter, and I will be interested to hear more about your cash vs. bonds decision. I definitely prefer to hold some bonds rather than cash, but sometimes I do feel like it is worthwhile to hold a small amount of cash in the portfolio. I don’t know if I could go as far as 50% in cash, though! I am wondering if other value oriented investors are as nervous as I am about this market being overvalued? How do some of you feel? Mark,I am not nervous at all about market valuations. A few of my growth stocks are overvalued and it may be prudent to trim them but they are not the core of my holdings. My core holdings are major companies who have a long history of profitable operations and a long history (25 years+) of paying and growing dividends. These dividends are my income to live on and history has proved them not to be effected by market values. Markets and the stocks in those markets go up and down, sometimes dramatically as we saw in 2009 but the quality companies continued to make profits, grow their business, and pay dividends to their shareholders. So a market is overvalued, so what, its only effect on me is that it makes it hard to find quality companies at bargain prices. If I were still employed and building up my holdings with a percentage of my income each month, I would still only buy quality stocks that I could find selling at bargain prices. If I could find none at bargain prices, I would hold the cash until I could. What is a bargain price? That would be any price where the company’s future cash flows earn my required rate of return (not the market’s current or historical required rate of return). My required rate of return is 15% including dividends. So any stock with expected cash flows earning 15% or greater is a potential candidate price wise. The stock must still pass my quality standards which is another whole discussion. Right now I think the market is fairly valued as the valuation of the DJIA as a whole has fallen within my margin of safety. It could go up or down, but my gut feeling is that we will see a small drop sometime this year followed by another rise. Of course, Mr. Market is always irrational! 1. Quote: “While our proposed 50-50 division is undoubtedly the simplest all-purpose program devisable, it may not turn out to be the best in terms of results achieved.” History of the stock market long-term as shown this to be a fact. 2. Current allocation: 80% equities, 20% bond fund. 3. Allocation method: 50% of my equity portfolio is mutual funds the other 50% is individual stocks. I am basically pitting myself against money managers to see who does better over time. As long as I can keep my wining streak going I will stay in individual stocks. If the money managers start leaving me behind in the dust then I will reevaluate my stock selection criteria. My bond fund is not impressing me and I will convert it into equities during the next major market correction. 4. I currently have an emerging market bond fund. The next time I buy bonds will be when interest rates have peaked and start falling. 5. 100% stocks makes sense for those who do not need to liquidate their holdings at a set time period. I would prefer being 100% stocks and am working in that direction. However, that said, if I needed more than the dividend payments from my stock portfolio I would not be 100% in stocks. I would maintain enough cash in bonds (short term bonds in the current market conditions) to keep me from having to sell stocks for 3 years. This is a recession cushion. As long as the market is bullish I would keep trimming prophets from stocks as necessary for living expenses and only tap into the cash during a significant market downturn. Of course when market values improved again I would have to sell more stocks to replenish the cash cushion. But I would be selling them at a 20%+ premium as opposed to selling during the downturn to fund living expenses. 6. About one half of the chapter was devoted to bonds and bond related investments; which was good for knowledge but not particularly relevant to me. I understand Graham’s conservative reasoning with stock allocations. He lived through the years of the wild wild west years of the securities market transformation. Today we have much better transparency, oversight, and regulatory protections than in Graham’s early years. It the stock market gets wiped out, our money won’t be worth anything no matter what form it is in. Those are some strong views about the power of stocks, but I disagree a little bit about your feelings on bonds. I think in general bonds can be a great and powerful part of a portfolio, helping to minimize the effects of recessions and allowing the investor to possibly ride the capital gains of stocks, move into bonds and avoid the capital losses of recessions. But of course it is always easier in theory than in practice! Ben, Yes if I could invest in the stock market and pick every valley and trough correctly I would soon own the entire market, but then I would be playing market-timing strategies against myself. The most secure money making scheme for the stock market is not second guessing the market movement, but buying quality, profitable, growing companies at a discount. The safe way to make money with these companies is by letting the companies make money for you – not market timing, hoping to buy a stock at its unpopular moment in time and sell at its most popular moment. Money can be made like this but human nature is to, as you said, “ride the capital gains of stocks”. Then Mr. market gets in the way and surprise, the market crashes and if the economy follows suit, there tends to be a 18-36 month broad sag in stock values. We saw this in the resent recession. A great time to buy stocks at bargain prices; however most people who wanted to buy at bargain prices would have had to sell depressed assets to buy depressed assets. Of course those that held on to a portfolio of dividend paying stocks or bonds would have received quarterly inflows of cash to take advantage of bargain stock prices. Or the more savoy investors may have sold their low beta stocks and bought high beta stocks to ride the recovery back up at an accelerated rate. It is a proven fact of the past that bonds can most certainly reduce the overall volatility of a portfolio but at the same time they reduce the long term capital appreciation rate of that same portfolio. I fault no one for choosing an allocation of bonds in their portfolio. After all it is their money and I commend them for their capital accumulation efforts as well as their capital contribution to the American economy. If there were no bond buyers, the companies I invest in would not have that relatively inexpensive source of capital to enhance my earnings and earnings growth! 2)	I am currently about 70% stocks and 10% bonds, and 20% cash. I have shares of specific companies and EFTs mostly. 3)	I have tried to keep to the defensive portfolio, but I adjusted for my level of risk comfort. I have stayed in stocks since the downturn because I want to take part in the bull market. There is no telling when it will end, but I am now starting to transition to a greater percentage in bonds. I plan to get close to 65% or 60% stocks, 25% or 30% bonds, 10% cash. I want to be able to capture some value priced stocks in the next bear market. As I indicated in the earlier chapters, I feel the economic indicators are still pointing to a bull market for the near future, and those indicators are my main guide. 4)	I am putting my money in high grade corporate shorter maturity (5 year at most) bond funds. I will keep with the short maturity since rising interest rates are obviously in the near future. 5)	I think the 100% stock portfolio is really tough mentally to do. You will get hit in the next bear market, and you will be stuck in your equities, so you will not have the resources to capture discounted good company shares. I made this mistake in the recession. 6)	I liked the chapter overall because it brings back into focus the need to consider bonds. You’re another reader who holds a portion of the portfolio in cash. Do you care to explain this position? I prefer to put excess cash in a bond fund if I expect to have the cash for a period of time, and only tend to hold cash in the portfolio when I am waiting for an opportunity to get in to more equities. I keep a small amount of money in cash mostly for my emergency fund. I had more in cash at the time of this original post because I had not yet found deals I was into. I am now close to 10%. I have thought about using bonds as a short term option when I have not been able to decide what to invest in. When I think to Warren Buffet and how he always talks about having cash to invest, I am sure that is due to his dividend income. I don’t think Buffet reinvests dividends, and he instead uses that cash to invest in places he feels are current good deals (and that might not be reinvesting back into the securities he owns).